You are currently browsing M. A. Walker’s articles. Are We Becoming Flattened by Technology? I find it amazing that so much has progressed in our society—medical, education, economics, and even in technology. The experience I’ve had thus far has surprisingly helped me. I say surprisingly because with knowledge comes more responsibility. I guess I’m a bit torn with how certain processes are given more clout over others. More importantly, how people’s jobs are being eliminated every day through these processes. For instance, the payroll accounting clerk’s position is being stream-lined to one position, which would normally take two people to handle. The merging of organizational models can cause people to lose their jobs. But, as I’m finding out, the world is emerging into newly uncharted waters which will only allow for minimum human interaction through face-to-face communication. The wave of the Internet can be attributed to this fact. The Internet has helped to create a new world where anything remotely is possible. The once needed jobs of previous years are becoming a distant memory. How do you tell a worker that has dedicated their life to a company for 40 plus years that they’re no longer needed? Or how do you make sense of the term “outsourced?” Streamline, outsource and cutbacks backs can only mean one thing—fewer jobs. The new ways in which company models are being reorganized are quite alarming. Everything is being digitized, and the need to process paperwork are diminished by an idea of “becoming more efficient.” So what does that really mean? The term globalization has a lot to with it. You see, the great minds of this world are working non-stop to find ways to communicate and collaborate beyond time and space while using fewer resources. There used to be a time when you called up a company seeking assistance on a legitimate business matter and you’d actually talked to someone in your neck of the woods. But that model is becoming a thing of the past by today’s standards. For example, if you happen to call your telephone company, don’t be alarmed to find that the voice on the other end is actually someone in India! I understand that the wave of the future is technology, technology, technology, but I’m also sensitive to the way people’s lives are affected. Someone will more than likely lose their job because of it. There is a book that actually explains how globalization has affected how we currently conduct business and our future endeavors to come. The World is Flat is a book written by NY Times columnist, Thomas L. Friedman. In his book, he describes several factors of his theory of why the world is becoming flattened—I’m convinced he isn’t off the mark one bit. The concept of “flattening is a process where all global economies are inter-woven,” as he explained in an MIT class forum. Countries that were once too far removed to do business or even exchange ideas with are literally our next door neighbors. Technology is at the center of it all. I play a role in this wave of the future by attending online classes part-time at CUNY’s School of Professional Studies. If technology creates a successful educational epidemic, there will come a time when universities across the country will shut its doors for good. I’ve never seen any of my professors, classmates, or faculty personnel to date. The convenience of technology has a nice ring to it, but I still enjoy the company of people every now and then. Will it make us better as a people? I’m not sure. Will it help us communicate with others in a more innovate and meaningful way? I think so. I also like the fact that I can meet people within a similar educational platform in order to stimulate my mind. I have learned new ideas and techniques that were designed to make one better at what they do, whatever that may be. Incidentally, the industry that I work in has transitioned over the course of ten years steadily. It’s a tricky market, but one that has taken a beaten overall while creating new advances in technology. Economically, my industry has taken huge losses. Revenue has steadily declined. We haven’t figured out all of the answers, but for the most part there is success ahead. I want to give a big thanks to Professor J. Driver for giving me additional tools that will help my endeavors throughout my academic journey. 2011 is behind us and now we’ve embarked on a new year, 2012. Last year was a pretty good year, especially for me in academia. As many students can attest, the beginning of a new semester can bring with it, new challenges, fresh perspectives and even elevated stresses. In my experience, as a mom, full-time employee and part-time online student – organization is key. (Notice how I rated all of my responsibilities). First, before registration begins, I discuss my registration options with my academic advisor. Who in my view, is a pretty awesome lady! I know sometimes we feel that we’re capable of doing the basic things on our own such as applying to the classes of our choice – but in order to fully take advantage of your highest potential, it’s always a good practice to seek out help from an advisor who can view your strengths and weaknesses before making a recommendation. This tactic proved to be very successful thus far. And while I can’t say there weren’t times when I wanted to give up, my adviser was there to lead me in the right direction. Second, communication is vital. Communication is a means by which two or more people interact. If you find there’s trouble lurking or that you’re not quite sure how to get an assignment completed, talk to your professor – they’re the first point of contact. The staff at SPS are truly great at responding to the needs of their students. Being an adult can sometimes make you feel like you shouldn’t ask for help. Well, I couldn’t disagree more. That’s the whole point of communicating! At times home life, work and school can wear on you as an individual. But the way to come out on top is to ask for help when it is needed. I’ve also found that communicating with classmates has proven to be fruitful. For the past two semesters, I’ve met some really nice people on blackboard. Third, networking is essential. Find at least one classmate in every class that you stay in contact with, in case you’re unable to attend class or have to travel for work or family related issues. This can serve as a backup plan. Remember, we’re adults and should be able manage our schedules accordingly. (Especially since we do it for our children and jobs)! Fourth, stay on track with all assignments. Again, this is as essential as any other item I’ve listed. Staying on track with assignments will keep you focused and also help you to remain in sync with quizzes, tests and projects, to which a portion of your final grade can/will be affected. I’ve found, when I see myself falling behind, I remain in contact with my professor. Look things happen, this isn’t a perfect world we live in. It’s the professors decision to delay or extend a due date. At most, they’re willing to help to if you keep them abreast of the issues. If that isn’t feasible, ask your professor if they’re assigning extra credit. I recommend all students take advantage of these extra points, since you never know what may happen down the road. Your experience is what you make it. Get ready, get set, and go! With all the mayhem that’s been going on in Washington, D.C. and across the United States, you’d think politicos would use some measure of wisdom. I’ve been reading articles, watching news reports and tweeting stories, which I feel has some semblance, contrary to all the madness. A 2006, copyrighted AP image of Obama was created by Virginia GOP committee, which showed him as a skeletal, one-eyed man with a bullet piercing his head. Now, I’m all for free speech in this country and abroad, but I do believe there are certain actions, which cannot be tolerated nor endorsed. Any image portraying a sitting president of the United States in a derogatory manner, whether one agrees or not with their policies, is just unacceptable. No one will ever totally agree with every policy a president or political figure believes in. But the blatant disrespect of the highest office on earth is unfathomable. There were policies that our 43rd president didn’t seem to have much wisdom in, but I certainly wouldn’t revert to name calling of any sort for his lack thereof. Democracy is one of our country’s crown jewels, but relegating to such childish antics only chip away at the very fabric most Americans hold dear to. Our right to free speech should never be used as a buffeting force as a means to dishonor any citizen – especially our President of the United States of America. Poking fun at or using convoluted imagery to assault the commander-in-chief’s character only reveals how un-American one can be. As a class assignment in my Digital Information in the Contemporary World, we were asked to address images and visual literacy. One aspect of the assignment challenged us to “briefly check out one of five (assigned) sites listed, all of which use (and/or talk about) images and visualizations in different ways. My group was given the charge of observing and critiquing the Smithsonian’s Ocean Portal. I’ll submit two questions my professor posed to the class as a whole. The sources of the images are from various photographers. Ocean Portal either has the rights to use these images with permission from the owners or they’re the sole owners of these images. I would gather these images were created to support the writer’s view on coral reefs and how they thrive in the ocean or not. Question two: Have the images been manipulated or modified in any way? (Can you tell?) Does the modification, if any, enhance or distort? (Can you tell? Yes, the images were manipulated to a degree to show the negative impact coral reefs can experience. For instance, the images show coral reefs in their highlight of vibrancy and full of color thriving in an ocean untouched by humans. But in another screen shot, high temperatures cause corals to lose the microscopic algae need to produce food, which feed other animals. The high temperatures experienced in our oceans were due to global warming which shows our carbon footprint. I also pointed out that, “the images were “distorted” to a degree with the magnification and added colors, used by the popular program photo shop. This is the exact method that was used to distort the AP photo of our 44th President, Barack Obama. How does my assignment have any connection to this article? I’d have to whole-heartedly agree to that! The derogatory image was immediately condemned by Virginia’s Governor Bob McDonnell and the Democratic Party of Virgina Spokesman, Brian Coy after which, the committee issued a public apology. I hardly call that humor. Miranda A. Walker is currently in her freshman year in the B.A. in Communication & Culture program at CUNY School of Professional Studies. She works in the multi-media industry as an Executive Assistant at the New York Daily News. In her spare time, she enjoys spending time with her children and reading immensely. Her dream is to one day run her own company. A major interruption with communication has caused Black Berry RIM users to scramble. Why do we rely on technology so much? Because technology has proven to be a useful, efficient and inexpensive tool that allows intra-company communication and communication with outside clients. The majority of U.S. companies offer blackberry devices to its employees as a means to stay in contact at all times. Now, I must admit I have relied (and still do) on my device to keep me in touch with work related emails and personal messages alike. That’s a good thing. Technology has been monumental in many new arenas of our society, but with anything, nothing is absolute. Our society has evolved dramatically in more ways than not – one being, the ways in which we communicate. Twenty years ago, TXTNG was unheard of! There was a time (before my time) when a boy and girl liked each other, they would write love letters back and forth. That form of communicating as we know it is now outdated. Businesses that rely on technological devices to increase productivity should use these mishaps as a learning curve to find ways to keep things moving, if this should happen again – hopefully it won’t. Otherwise, we’ll continue to experience these disruptions all over again. RIM has provided a very useful service to many companies local and international. For many professionals, this is a must have. During the email chaos yesterday afternoon, my boss hadn’t received one email since ten o’clock that morning. But he didn’t mind. Others that were affected, vented their frustrations on Twitter and Facebook instantly. With dwindling sales of Blackberry devices, this serves as ammunition for customers to move to the iPhone and HTC smartphones. Astronomy as I had known it consisted only of the Sun, Moon and stars. But after I took the plunge of enrolling in an astronomy course here at SPS, my perception of what I thought I knew had drastically changed for the better. I tend to be the sort of person that likes to play it safe. Here’s what I mean: I try to stick to what I know best so if I fail, it can be on a subject matter that I know vs. something I have no clue about. That might sound silly but it’s the truth. Ordinarily, I would have preferred to enroll in Biology or Earth Science but since I’m a college student, I felt it better suited me to try something more challenging. (I forced myself to enroll). According to Wikipedia, astronomy is a natural science that deals with the study of celestial objects (such as stars, planets, comets, nebulae, star clusters and galaxies) and phenomena that originate outside the Earth’s atmosphere (such as the cosmic background radiation). At least I was partially correct. Before, I get all technical, the basics of astronomy began with early observations – some of which you might have heard of. These great explorers are like Galileo who turned the newly invented telescope with great discoveries, but Newton made tremendous strides in physics, which connects with astronomy. Or how about Ptolemy, the astronomer, mathematician, and author who wrote an astronomical treatise (is a formal and systematic written discourse on some subject, generally longer and treating it in greater depth than an essay), on the complex subject on the motion of stars and planetary paths. There was also a man named Copernicus who proposed the heliocentric system and Kepler adopted the detailed laws of planetary motion. Not only have these men contributed to the history of astronomy, they have allowed us to see and further discover what is above our Earth’s atmosphere. Have you ever wondered why we have seasons? Seasons as we know it, are a direct result of the Earth’s tilt! You’re probably wondering what that means, right? Well it means that Summer (from the Latin word “sol” meaning “sun” and stare, “to stand”) is the point on the ecliptic (plane of the earth’s orbit around the sun), where the Sun is at its northern most point above the celestial equator. It represents the point in Earth’s orbit where our planet’s North Pole points closet to the Sun! This occurs on or near June 21. Six months later, the Sun is at its southernmost point or the Winter Solstice (December 21) the shortest day in the Northern Hemisphere. These two affect the height of the Sun above the horizon and the length of the day – which combine to account for the seasons we experience. 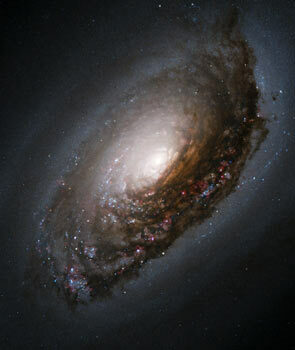 One of the many stunning images available on the Hubble website. Astronomers view any and all activity by high-powered ground telescopes and even the HST (Hubble Space Telescope). The HST is very unique device since its stationed high above our Earth’s atmosphere. It has produced thousands upon thousands of crystal clear images that the ground telescopes aren’t able to produce. Images are passed to another satellite in space and finally beamed to a ground telescope and transferred to a computer at the Goddard Space Center in Maryland. If you have a chance to log onto Hubble’s official website at: http://hubblesite.org, there are extraordinary images that could possibly bring you to tears. According to the NY Post, an outdated research satellite will re-enter our atmosphere where it’s expected be destroyed. I can’t but help to have a new-found respect for this science and technology, which is ever-changing before our eyes. What I’m learning from taking this course is that observations and new challenging can be exciting and even thrilling. My decision to rise to the challenge is definitely paying off by this new-found hobby I’ve acquired of becoming an elementary star-gazer. I am a resident New Yorker, but I haven’t understood or even cared about my home state’s major attractions. Recently, my company moved from its midtown digs to plusher and more greener pastures at South Ferry. 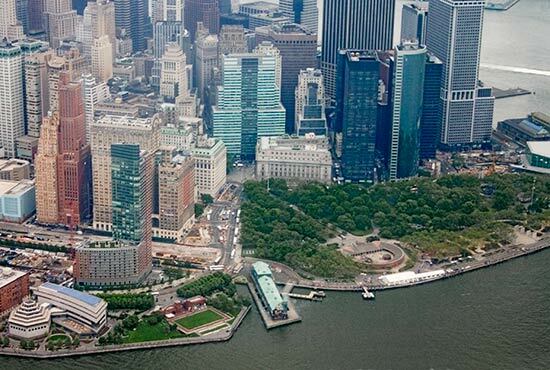 There’s a conglomerate of shops, businesses, restaurants and of course Battery Park to name a few. My initial attitude upon hearing that we were moving, was that of reservation or even unhappiness. Why would my company decide to pick up and leave our present location to a new area that could pose to be difficult – navigation wise? After two and a half-months, the area has really grown on me. I’m proud to say where I now work, since it’s an ideal location for any business or resident to work or live in. I hadn’t known the many things my company was lacking in terms of location, location, location! One of the goals any business considers when choosing where to do business – is the location. Location is key. It can prove to be beneficial or devastating – to say the least. Our former address in midtown proved to be devastating because the daily walk from the subway was a schlep no one cared for especially in nasty weather. There were a limited variety of restaurants and shops and I mean, limited! It took an half-hour to arrive at an ideal restaurant or even a local store. Or try eating at the same restaurant, week after week. Who does that? On many occasions, I’d forgo eating lunch and resort to having a snack instead, until I got home later in the evening. So before you’re faced with a change however intense it may be, trying looking at the brighter side of things. Who knows, you may learn a true life lesson that drastically enriches you! It was a clear September morning. The first plane struck the World Trade Center’s North Tower at 8:46 a.m. The second at 9:03 a.m.
Terror came to NYC in the form of evil that most had never known before. For all of the lives that were impacted on this tragic day in our nation; I saw a glimmer of hope that transcended anything I’ve ever witnessed. Every effort made on that day and thereafter will never be forgotten, deeply embedded in our hearts and souls. I can’t thank them enough for their selfless act. At a time when our nation was mourning the loss of its brothers and sisters – that same nation put aside all of its differences for the good of the people whether big or small, black or white. I will forever remember 9/11/01 for as long as I live. My nation, my city and my fellow neighbor stood tall and firm; not allowing anything or anyone to pull them apart. And while we can never forget the evil which lay dormant until that day, our love of country, life and freedom will never fail. No matter who opposes our will to live free. We are one nation of many, and a nation of liberty. On this commemorative anniversary, I shall never forget the lives taken for the liberty which we fight to protect every day.